guidelines from recommending women of average risk aged 40 or older undergo screening every one to two years, to now recommending women of average risk aged 50 to 74 undergo screening every other year. Average risk generally includes women who do not have a personal/family history of breast cancer. This has a large impact on your department and patients because of how insurers and government programs follow the panel’s recommendations for covering preventive services. About 85 percent of breast cancers occur in women with no family history of the cancer, according to breastcancer.org. This is especially concerning for patients of average risk who no longer meet the criteria for screening until the age of 50. The good news is that we have some time to prepare for the screening age change due to the Consolidated Appropriations Act of 2016—which included a provision that places a two-year hold on implementing the new recommendations. Even with the two-year hold, there is a lot of buzz around this topic in the media. Many patients have questions about if they should be screened, if insurance will cover their screening and how this affects finding breast cancer in its earlier stages. Health systems and imaging facilities can provide clarity to patients and referring providers by providing educational information—in the format of a letter, webpage, video or brochure—detailing the new recommendations and options for continued screening. 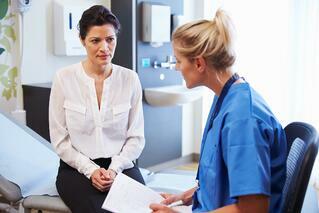 Breast imagers should also discuss these options during routine screening appointments. By proactively communicating to patients and their primary care physicians, your department can maintain the value of your screening program, prevent a drop in mammogram volume and improve peace of mind for patients. What questions have your patients asked about the new recommendations? We’d love for you to share with us by commenting below. Click here to learn more about the unique solutions Cassling offers to help you care for your female patients. Jennifer Ott is a Cassling Ultrasound Product Sales Executive. She works closely with sonographers, physicians and hospital administrators to help them increase productivity using automated technology and ultrasound equipment. Jennifer has a bachelor’s degree in Health Science: Diagnostic Medical Ultrasound from the University of Missouri-Columbia and is a member of the Society of Diagnostic Medical Sonography and American Registry of Diagnostic Medical Sonographers. She was formerly a senior clinical sales specialist with Siemens Healthineers, as well as a practicing sonographer.